Diary, correspondence. 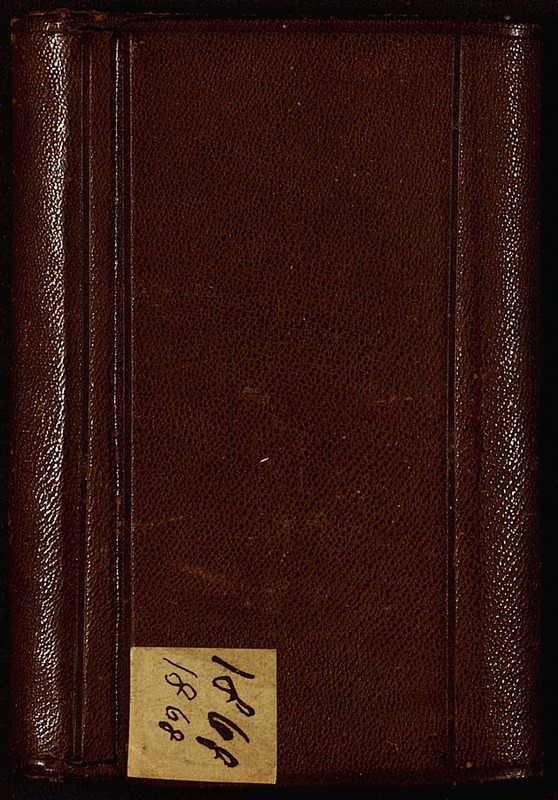 These diaries (1863-1894, 1903-1910) contain Keene's often terse entries about his daily routines from 1863, when he resided in Washington, D.C., through his years as a citizen of Jacksonville, Florida. They include his reaction to the assassination of President Abraham Lincoln. Unfortunately, the diaries do not cover the crucial Florida years of 1898 (Spanish-American War) and 1901 (Great Jacksonville Fire) but remain important as a local chronicle. Transcription available for general use. Otis Little Keene was born on May 23, 1830, Lincoln County, Maine. He came to Jacksonville, Florida, in 1855 to manage the Judson House hotel. He resided there until April 10, 1862, when Confederate forces evacuated and burned the hotel. Mr. and Mrs. Keene and hundreds of others left Jacksonville on United States transports bound for New York. He worked as a clerk in the Treasury Department until 1866 when he returned to Jacksonville. He was customs inspector at the Jacksonville Customs House until 1869 when he became a clerk in the St. James Hotel, 1870-1872. From 1873-74, Keene was President of the Jacksonville City Council and a county commissioner from 1875-81. He was also a member of the Jacksonville Board of Trade and a freemason. Keene's first wife, A. H. Dunham, died in February 1873, and on September 5, 1878, he married H. L. Ashton, of London, England. They had no children. Keene was in the milliner and dry goods business until 1902. Diaries of Otis Keene; Special and Area Studies Collections Department, University of Florida Libraries, Gainesville, Florida; There is a good annotated transcript of the diaries, compiled and abridged by Richard A. Martin, 1973.